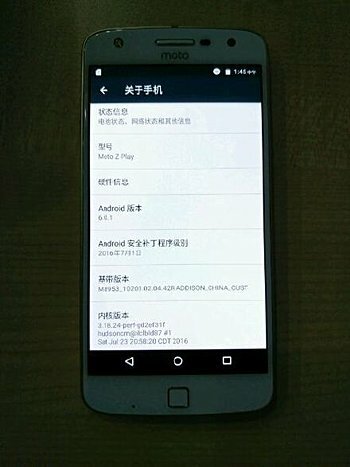 A couple of new images of the Motorola Moto Z Play have surfaced online, revealing the front of the upcoming phone. While the first one focuses on device info, the second image shows a photo captured by the device’s camera in low-light conditions. As for design, this new set of leaked images is inline with images we’ve already seen before. In case you missed, the handset was recently spotted in a promotional poster in China. 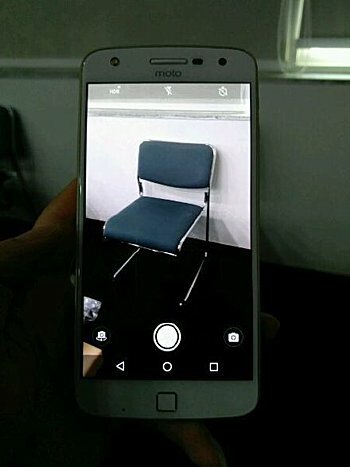 The poster revealed that the Moto Z Play is a modular smartphone with 16MP rear camera and a battery that can run up to 36 hours in standby mode. In addition, it was also revealed that a 15 minute charge is enough for the phone to run for a whopping 10 hours. Already certified by TENAA and subject of several rumors and leaks, the device is expected to be made official on September 6.